Christmas is close and next week is the week of Carols in the Square from Monday 18th to Saturday 23rd December. Just as in previous years, hundreds of foreign residents and visitors will gather together in the Plaza de la Constitución in Torrevieja every evening at 6.00 pm except Friday 22nd at 7.00 pm. 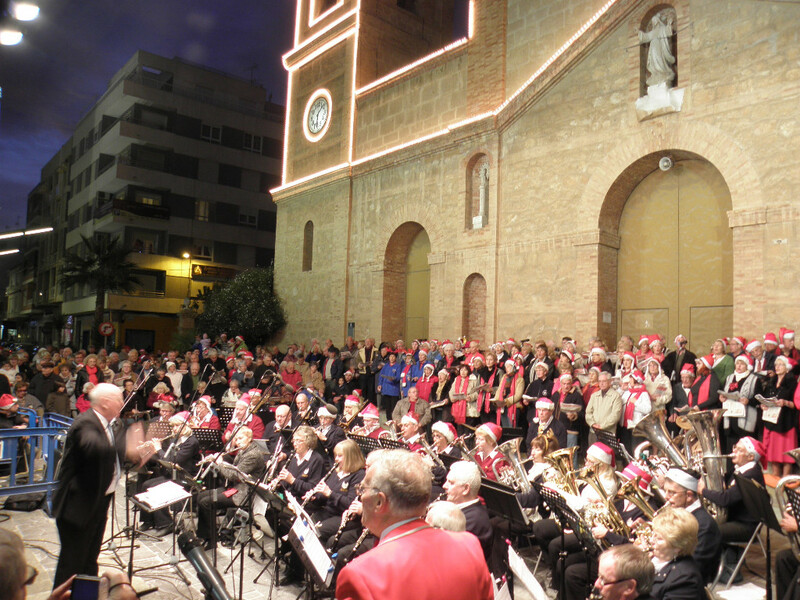 The Torrevieja Town Hall International Residents Department organizes this popular multi-national carol singing event with the usual mix of international musicians and choirs to celebrate the start of Christmas on the Costa Blanca. Everyone of all nationalities is invited to join in. Come and enjoy snacks and drinks from the outside bars while you admire the wonderful nativity scene!